Are the stars of the Civil Rights firmament yesterday's news? In Living Black History scholar and activist Manning Marable offers a resounding No!” with a fresh and personal look at the enduring legacy of such well-known figures as Malcolm X, Martin Luther King, Jr., Medgar Evers and W.E.B. Du Bois. Marable creates a living history” that brings the past alive for a generation he sees as having historical amnesia. His activist passion and scholarly memory bring immediacy to the tribulations and triumphs of yesterday and reveal that history is something that happens everyday. Living Black History dismisses the detachment of the codified version of American history that we all grew up with. Marable's holistic understanding of history counts the story of the slave as much as that of the master; he highlights the flesh-and-blood courage of those figures who have been robbed of their visceral humanity as members of the historical cannon. As people comprehend this dynamic portrayal of history they will begin to understand that each day we-the average citizen-are makers” of our own American history. Living Black History will empower readers with knowledge of their collective past and a greater understanding of their part in forming our future. 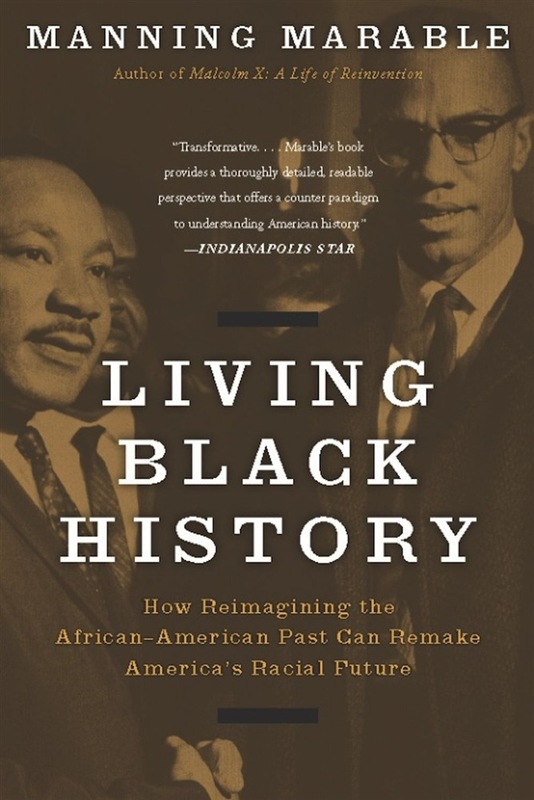 Acquista Living Black History in Epub: dopo aver letto l’ebook Living Black History di Manning Marable ti invitiamo a lasciarci una Recensione qui sotto: sarà utile agli utenti che non abbiano ancora letto questo libro e che vogliano avere delle opinioni altrui. L’opinione su di un libro è molto soggettiva e per questo leggere eventuali recensioni negative non ci dovrà frenare dall’acquisto, anzi dovrà spingerci ad acquistare il libro in fretta per poter dire la nostra ed eventualmente smentire quanto commentato da altri, contribuendo ad arricchire più possibile i commenti e dare sempre più spunti di confronto al pubblico online.